C4HAIR Collagen drink - wolting-internationals Webseite! Collagen is the main protein in Hair, and is a large proportion of up to 30% of the total protein in mammals. Collagen proteins have installed Levy long and function differs from other globular proteins and enzymes. Constitute a strong beam of collagen proteins with some so-called "collagen fibers." Collagen, is produced in the hair follicle and supports the hair, but with age collagen may begin to decline, which may cause the appearance of wrinkles of the hair. So everyone has been looking for sources of collagen as well as dietary supplements. Collagen is one of the most common types of protein in the human hair follicle it constitutes about 30 percent of the body content of proteins. The back of collagen on the hair is numerous benefits, according to the proportion of its presence in the hair follicle and how the body interaction with it. The collagen is a protein in the body and is essential for good health component. You must get the collagen because there are many benefits of C4HAIR collagen syrup. Gain Strength for the Hair. • C4HAIR Collagen Drink, which helps improve the health of the hair and get long hair healthy and natural. • C4HAIR Collagen Drink, it works to increase the protein in the body and build a strong and solid hair. 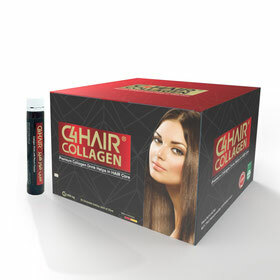 • C4HAIR Collagen Drink, increases the level and intensity of hair growth. • C4HAIR Collagen Drinkfor Her dedicated to the more beautiful and strong hair. • C4HAIR Collagen Drinkfor Hair contains a high degree of dietary supplements for hair stylish and beautiful. • C4HAIR Collagen Drinkforhair working to increase the protein in the body and build a normal and healthy hair. • C4HAIR Collagen Drinkhelps to improve the healthy and long hair. • C4HAIR Collagen Drinkhairenhances the level of collagen in the hair follicles. • C4HAIR Collagen Drinkwhen drinking it on a daily basis leads to a long, strong hair and maintains its colour and brilliance and luster.